2. Stranger. Another mysterious trailer for J.J. Abrams’ next project entitled Stranger. There is not a lot of info about this, but you can visit www.soonyouwillknow.com for more. 3. RoboCop. In case you missed this trailer that hit the web late last week, here is the first trailer for the upcoming remake of RoboCop that releases on February 7. IMDB synopsis-In 2028 Detroit, when Alex Murphy (Joel Kinnaman) – a loving husband, father and good cop – is critically injured in the line of duty, the multinational conglomerate OmniCorp sees their chance for a part-man, part-robot police officer. 4. The Railway Man. Releasing between now and the beginning of 2014, here is the 1st trailer for this drama starring Colin Firth and Nicole Kidman. IMDB synopsis-A victim from World War II’s “Death Railway” sets out to find those responsible for his torture. A true story. 5. All is Bright. Paul Giamatti and Paul Rudd star in this October 4th dramedy. IMDB synopsis-While out on parole, Dennis reluctantly takes a job selling Christmas trees with his old buddy Rene in order to make enough money to buy his estranged daughter the piano she’s always wanted. 6. The Double. Directed by Richard Ayoade, this 2013 comedy release stars Jesse Eisenberg and MIa Wasikowska. IMDB synopsis-A comedy centered on a man who is driven insane by the appearance of his doppleganger. 7. Escape from Tomorrow. Here’s a trailer for the upcoming (controversial?) movie filmed secretly at Disneyland. Release date is October 11. To learn more about this film, click HERE. IMDB synopsis-In a world of fake castles and anthropomorphic rodents, an epic battle begins when an unemployed father’s sanity is challenged by a chance encounter with two underage girls on holiday. 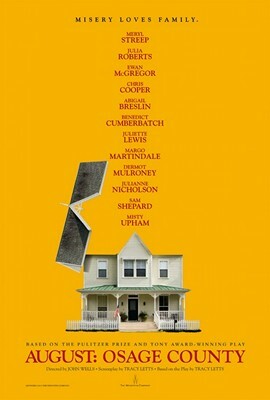 A 2nd trailer for August Osage County, starring Meryl Streep, Benedict Cumberbatch and more. Starring Meryl Streep, Benedict Cumberbatch, Abigail Breslin, Ewan McGregor, Julia Roberts, Chris Cooper and more, this film is directed by John Wells (2010’s Company Men) and releases soon. 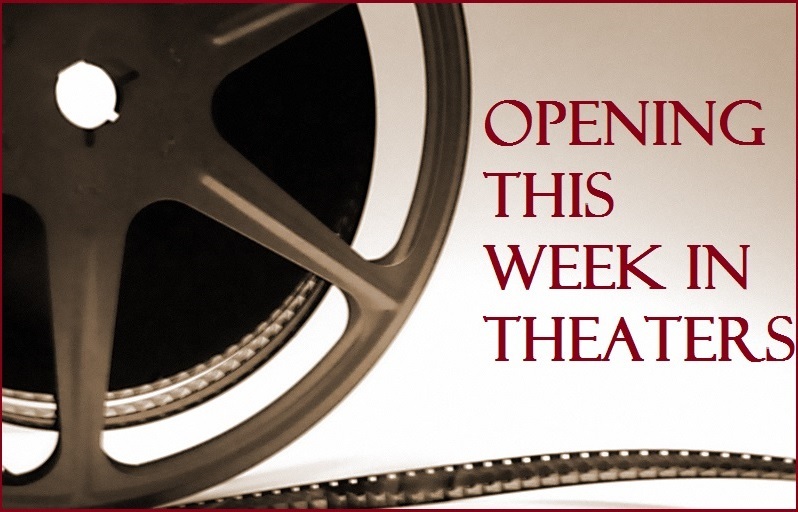 My favorite trailers from today: RoboCop, The Railway Man and Mr. Nobody. Wide Release: Insidious: Chapter 2, The Family and Grand Masti. Limited Release: Wadjda Blue Caprice, Jayne Mansfield’s Car and more. Previous #WSIFF: Reviews to Use & Help Choose, pt 7. I fully intend to and am glad to hear you say that. Did you review it, Nostra? Do you have a link that you can share? I am getting nervous that this Robocop remake is gonna be as bad as that Total Recall remake.